At TrailblazerGirl, we are always happy to find products that have multiple uses. 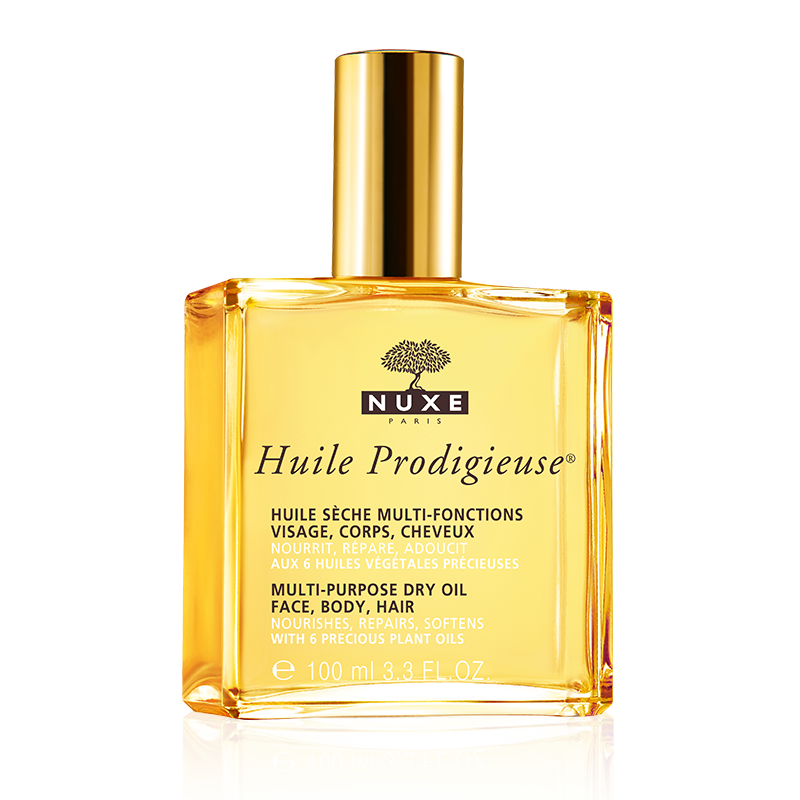 The latest one is Huile Prodigieuse from our friends at Nuxe. Described as a “cult beauty buy” and France’s leading beauty oil, it can be used to nourish and condition your skin and hair (yes, hair, too!). Composed of six precious plant oils (Macadamia, Hazelnut, Borrage, Almond, Camellia and St. John’s Wort) and vitamin E, this dry oil will hydrate your skin and give your hair a softness and shine, without any greasiness. It’s lightly scented and is absorbed quickly. This is truly a “tremendous oil”!